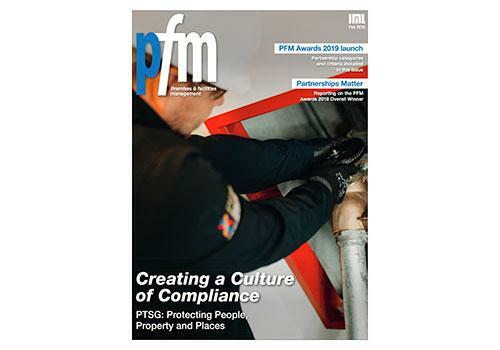 Premier Technical Services Group PLC (PTSG) features on the cover of the latest edition (February 2019) of PFM (Premier and Facilities Management) – one of the leading journals reporting on the facilities management industry. 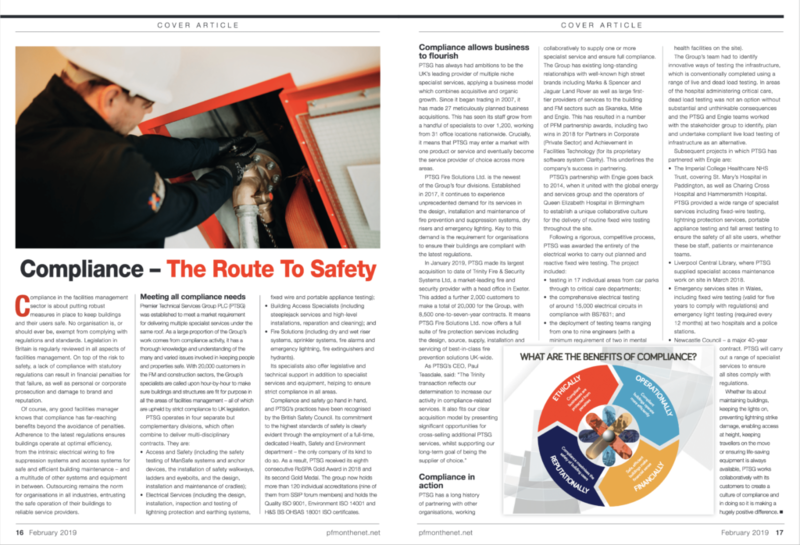 A double-page spread is also devoted to the Group’s approach to compliance. A huge quantum of PTSG’s work involves delivering compliance work for its 20,000 customers across 200,000 assets UK-wide. Its engineers routinely carry out specialist services to ensure buildings are compliant with legislation in the areas of fire safety and suppression, electrical services and access and safety in its various forms. the article covers all areas of compliance and talks about how compliant buildings are not only safer for users, but that they also operate more efficiently – adding longer-term financial value for building owners and operators. PTSG has become a regular in the pages of PFM magazine. 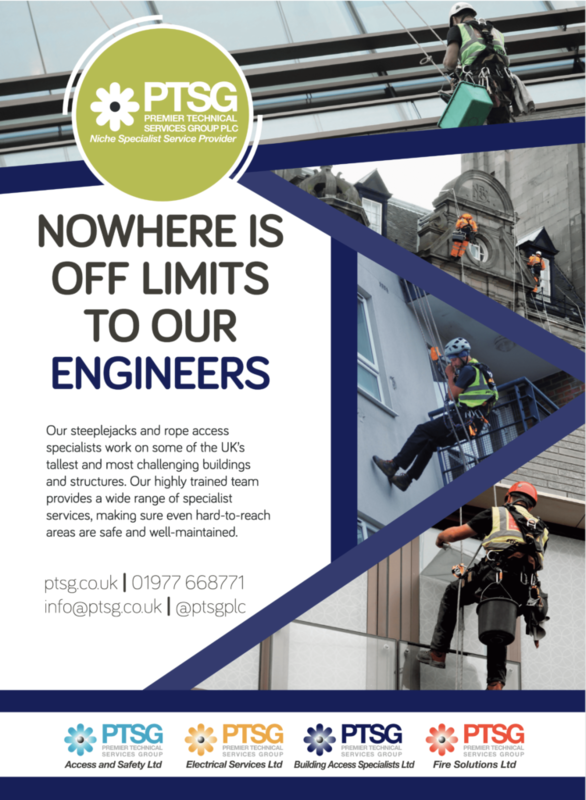 The Group’s rigorous, multi-award-winning approach to safety is regularly documented, and its engineers have great experience and expertise in working at height, as well as delivering best-in-class training sessions for clients.